A SHIFT in drinking habits is said to be behind the decision by the owner of Italian beer brand Peroni, Asahi, to release a new alcohol-free variant of the beer. 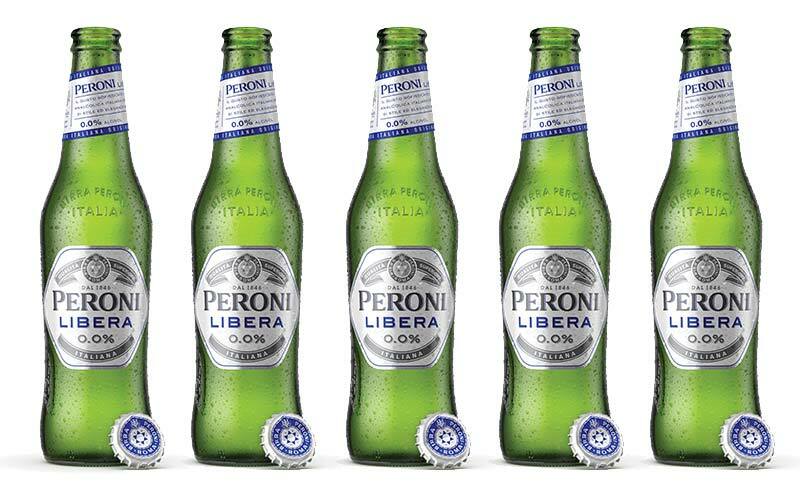 Made with the same Nostrano dell’Isola maize that is used in the brand’s signature lager, Peroni Libera 0.0% is set to be rolled out in the on-trade following an off-trade launch in Tesco this month. The triple-hopped beer is described as having rich and intense citrusy aromas, offering a similar taste experience to Nastro Azzurro. The move, said the firm, builds on the 2016 launch of its gluten-free variant, which is claimed to have 51% market share of the sub-category. Simone Caporale, Peroni Nastro Azzurro’s master of mixology, said “People are more regularly considering low and no-alcohol drink alternatives and currently there isn’t a premium, great tasting beer out there for them to enjoy.